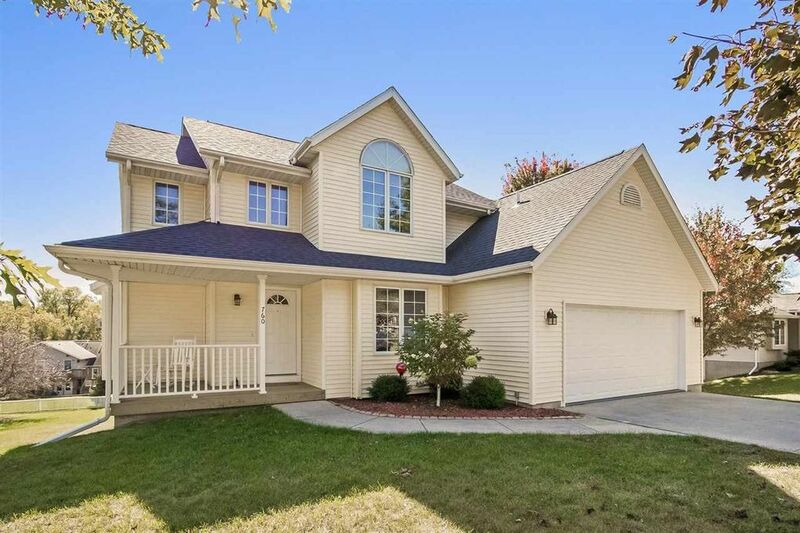 Very well cared for and nicely updated 2 story situated on a prime lot with a wonderful yard and close to Wickham elementary, Brown Deer Golf Course, and paved walking/bike trails in popular Forest Edge Estates! There are 4 bedrooms including a spacious master suite that boasts a tray ceiling, walk-in closet and jetted tub with separate shower; 2 Story entry; gracious formal dining room with warm wood flooring; functional kitchen that boasts tile floors, granite counters with breakfast bar, solid oak cabinetry, stainless steel appliances, built-in desk, and a convenient pantry; 1st floor laundry room with washer/dryer; living room with a cozy granite fireplace including a mantle and raised hearth; expansive deck with stairs to a tremendous patio; sweeping 18x22 walkout lower level family room; brushed nickel hardware and fixtures; custom window treatments; upper level bedroom featuring a high vaulted ceiling and circle top window; high efficiency Lennox HVAC system; and the hot tub stays! Recent improvements include: Window treatments, yard fencing, microwave and added venting to the exterior, basketball hoop, re-glazed shower and added glass shower doors, new master bath window, added 900 sq. ft. of attic insulation, lighting and plumbing fixtures, appliances, granite counters, tile flooring, finished lower level and most recently a 3rd full bath, roof, and water heater. Directions: 12th Ave. North of Oakdale Blvd. to Forest Edge Dr. or use Muddy Creek Ln.